In the weeks before Christmas we often dwell too much on what we don’t have or what we have not accomplished, instead of counting our blessings. We start making goals and resolutions, usually about losing weight, getting our taxes done early, or (my favorite) writing our memoirs. But if you do want to make some changes in the new year, it shouldn’t be done with lofty resolutions, cold-turkey declarations, or grand pronouncements at the dinner table. For most of us, some small changes at the margins are all it takes to get back on course. Making big plans to change your lifestyle all at once may only set you up for failure. And when people fail after setting the bar too high, they are often less likely to make another attempt. 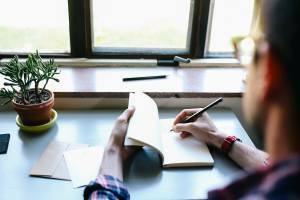 Financial Resolutions: Do We Make Them? A Fidelity study found that only 31% of us made financial resolutions for 2015, down from 43% in 2014. Of those making financial resolutions, 55% want to save more and 17% want to spend less, which seems illogical. Most of the time, you can’t save more unless you spend less. It is surprising that 69% of us don’t seem to consider our financial well being significant enough to want to make financial resolutions. I guess making a New Year’s resolution to look good at the beach takes precedence over whether or not we can afford to go to the beach in the first place. The same data also shows that more than half of those who made financial resolutions in 2014 feel that they are financially better off, with 74% achieving at least 50% of their goal, and 29% achieving their goal completely. So why the high success rate for those who make financial resolutions for the new year? It may be due to the small and typically easy steps needed for success. There’s no diet to suffer through, no need to work up a sweat at the gym, and no pressure to ignore the smell of that Mrs. Smith’s pie baking in the oven. For most people, it is as simple as stopping by the HR department and selecting a higher retirement contribution rate each pay period. Lowering your cable bill can be done easily online by turning off premium channel selections you barely even use. Going out to eat every weekend can be substituted with fancy dinners at home. These savings all begin to add up in your bank account, without taking a huge toll on your quality of living. If you invest these savings well and then stay the course, it may require almost no effort at all. The money can work for you, whether or not you keep your resolutions to eat better and exercise more. So as you get ready for 2015, find a few small steps you can take for your financial resolutions, and your retirement account will thank you for it in the years to come. 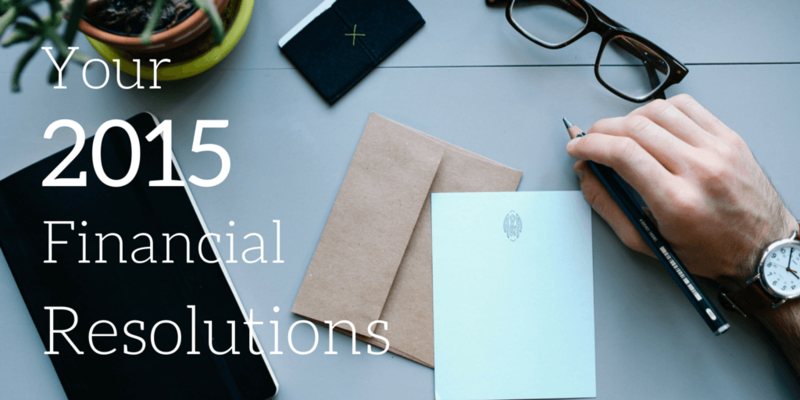 0 responses on "Featured Blog: Your 2015 Financial Resolutions"